Adam Lanning, Rochelle Municipal Utilities’ Water and Wastewater Superintendent, was one of the 5 nominees for Operator of the Year at the 2018 IAWPCO Banquet in Springfield. 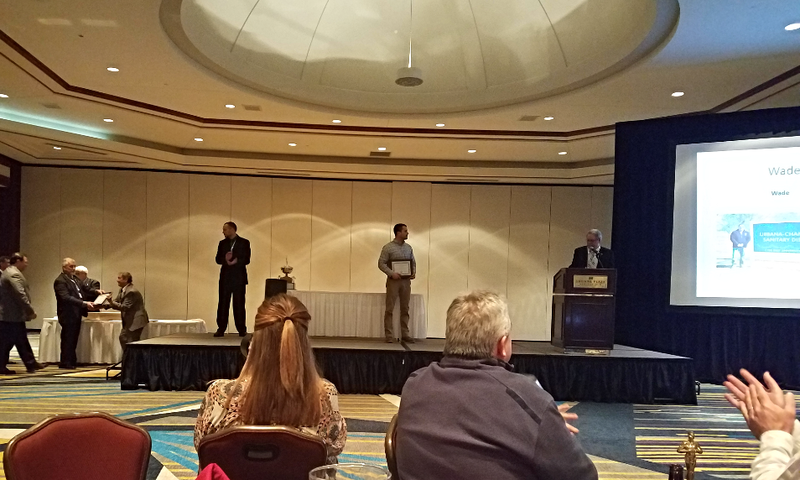 The Operator of the Year Award emphasizes the relationship between adequate wastewater treatment and clean receiving waters, and to give public recognition and encouragement to those individuals who have operated their wastewater treatment facilities in an especially effective manner. Congratulations Adam!